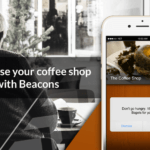 Most retail beacon implementations today require shoppers to interact with a mobile app. These proximity detection devices then send discounts, ads or offers to the customer’s mobile device when he or she nears a particular product or aisle. But what happens if the customer fails to engage with his or her phone in-store? In such cases, none of these personalized proximity marketing messages are received by the customer. A great way to solve this issue is to display personalized content on a nearby in-store screen, that the shopper can interact with without ever having to use his/her phone. Using beacons, you can now leverage digital signages to display personalized content that the shopper approaching it can see. This screen display can further be made interactive, so that the shopper can tap the screen to see different colors and sizes in real time. The objective of this campaign is to display an abandoned product that is in a customer’s online shopping cart, on the digital signage screen placed in the Ladies section. Let’s name the campaign ‘Shopping Cart Retargeting’ and set it to display a message on the display screen in the ladies section, for ladies in the age group of 20 to 35 years, who have an item in their shopping cart that they did not buy. The same item will be offered at a 20% discount if the shopper buys it by making a purchase from the display screen itself. Before we begin, the first thing to do is to purchase a couple of beacons. Once you have purchased beacons, their details such as UUID, major and minor numbers will be added to the Beaconstac dashboard (by us) before shipping the beacons to you. The beacon in this case is named – ‘Ladies section’ after where it will be placed. Once these beacon details are added, they are ready to be installed. After installing, all we have to do is create a rule for the beacon placed in the ladies section so that it triggers the message on the display screen, at the required time. Here, we have named the rule as ‘Shopping Cart Retargeting’, for the beacon placed in the ladies section. If someone enters the beacon zone and stays in the zone for a time of 30 seconds, the rule will be triggered. Next, we need to add a custom attribute which will determine which users will qualify to receive the notification. Custom attributes can be used to filter customers based on criteria such as dwell time, gender, time of day etc. Here we are creating three custom attributes called ‘Gender’, ‘Age’ and ‘Item in Cart’. Female shoppers who are between 20 years and 35 years of age, and who have an item in their shopping cart that they haven’t bought (this item should have been in the bag for more than a day) will see a message displayed on the digital signage screen. After this, we’ll add the action to be triggered when the rule is true. Here, the action is to trigger the message on the digital display screen. To execute this, we will use ‘webhooks’. As discussed earlier, in Beaconstac, proximity-based behavior and messaging in your app is controlled through rules and actions. One of the types of actions that we support is a Webhook, that you can use to easily push proximity events from your app to a 3rd-party server, which could be a CRM or any other system. For most retailers, the software that is the central repository of all customer data is usually a CRM system. From that standpoint, it makes sense that proximity events from a customer’s visit to a physical space should be accessible to the CRM server. Using a webhook, the customer data from the CRM system will be fetched and accordingly, the message will be displayed. And that’s it! Your campaign is ready. Do try this out and let me know your thoughts about this campaign. If there is a specific campaign you would like to read about, I’ll be more than happy to share how you can get it done using Beaconstac.